Today, March 25, is the Feast of the Annunciation. The feast of the Annunciation marks the visit of the angel Gabriel to the Virgin Mary, during which he told her that she would be the mother of Jesus Christ, the Son of God. Congratulations to the Cash Raffle winners! 1st prize: Denise Vuoso , 2nd prize: Claudette Ludwig, 3rd prize: Jeffrey Haywood and 4th prize: Maria Mattera. Our sincere thanks goes out to the committee and to all those who supported our Cash Raffle and Backyard BBQ on Saturday night. What a great time it was! May God bless you for your continued support and generosity to our school. The Scholastic Book Fair was another huge success. Thank you to all those who volunteered throughout the week to assist the children with choosing and purchasing books. The Harlem Wizards Game is this Wednesday , March 27, at 6:30PM. Tickets purchased for January 30 will be honored that night. Additional tickets are for sale online now. Souvenirs and food will be available, too! It's a great show. Worth the wait! Don't miss it! 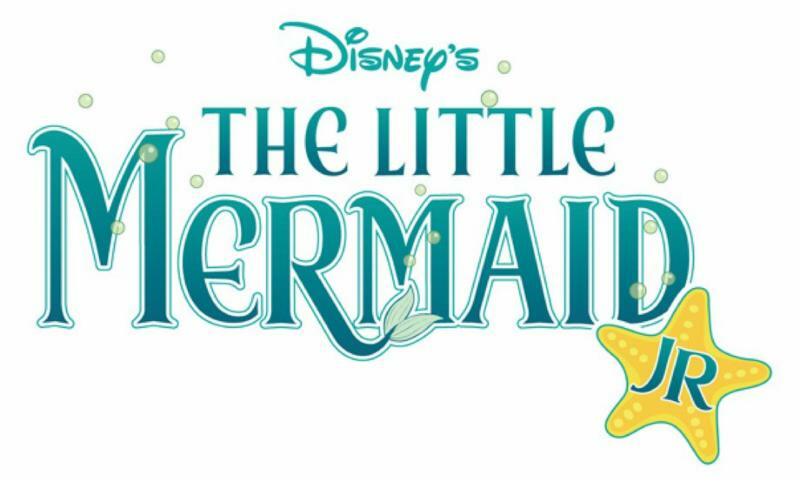 The Drama Club will be presenting three performances of "The Little Mermaid" on Friday evening, April 5 at 7:00PM , Saturday evening, April 6 at 7:00PM and a matinee on Sunday, April 7 at 2 PM. Thank you to Mrs. Maurya Brown, our music teacher and Drama Club moderator. The students have been working hard since September. Please plan to come out to see a great performance! Tickets are on sale now. Click here to purchase tickets or pick up an order form in the office. Tickets will not be sent home with the children. They can be picked up at the office or at the "Will Call" table on the night of the performance. 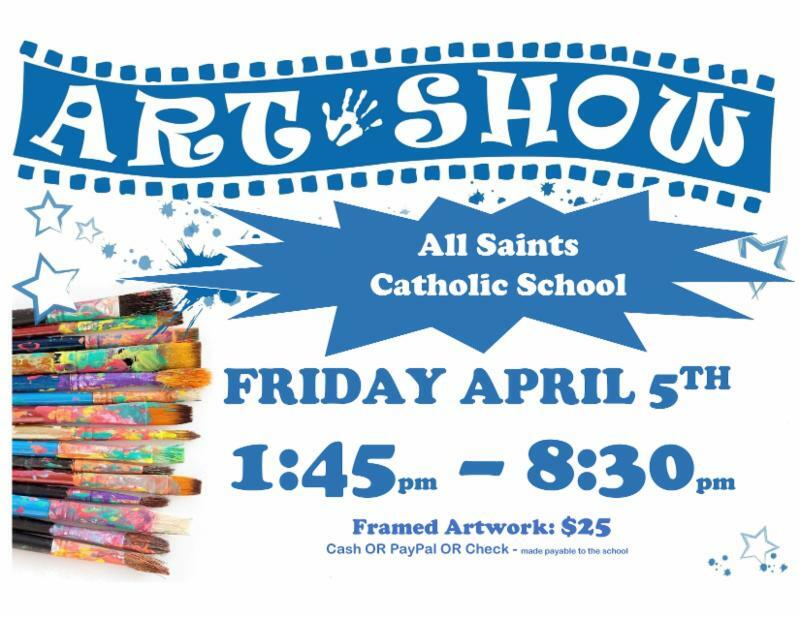 Please join us on Friday night, April 5, for this year's "Art Show." Students in Grades PK3 through grade 5 will showcase their artwork in beautiful frames in the gym from 1:45PM to 8:30PM. Frames with student art will be available for purchase for $25 by check made payable to All Saints Catholic School. Please arrive prior to the closing time because the breakdown begins promptly at 8:30PM. More information can be found here. The Sacrament of Reconciliation for grades 3-8 will be Tuesday, March 26, at 10:00AM. Pastors from the local parishes will be here for a Prayer Service and confessions. The third marking period ends this Friday, March 29. Please reconcile your financial obligations now. Each month for the rest of the school year, we will be holding special All Saints Masses at our parishes in Norwalk. All families are invited to attend. Please sign up to attend the All Saints Mass - at St. Matthew's at 9am on March 31st. We hope to see you there! Tomorrow 3/26 is the last day for the 8th grade dress-down fundraiser.